Maybelline's New Brow Line Has Arrived! And our kilay is happy. Any beauty-obsessed girl would know that well-groomed eyebrows are everything. You can come to work with a bare face, and still look flawless on the account that your arches are properly maintained. It's a good thing Maybelline just launched a complete line for all you kilay-obsessed girls. The new set includes a sharp pencil (which helps groom and reshape your brows), a duo shaper (the double-ended wand has a cream pen and a finishing powder), and a brow mascara (which helps match your kilay with your hair color, so it doesn't look #awkward). The brow mascara is actually our favorite product from the line, because not only does it keep stray hairs in place, it distributes color on your arches evenly, without clumping. Best part? The color lasts the whole day. Oh, and about it matching your hair color? The mascara comes in three colors: yellow brown (for those with ash blonde or blonde hair), rusty brown (for girls with copper highlights or light brown hair), and dark brown (best for girls with black hair, so your makeup doesn't look severe). 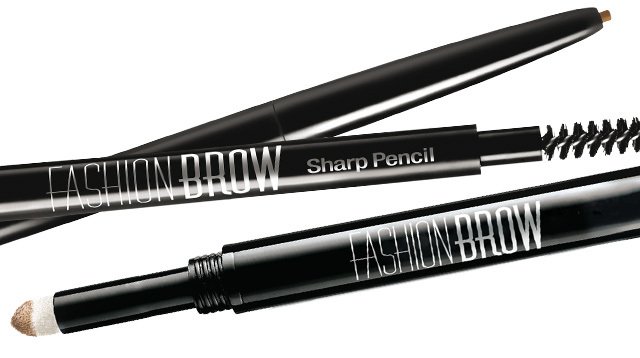 The sharp pencil retails at P359; duo shaper at P399; and brow mascara at P359. Maybelline products are available at all leading department stores nationwide.